One of the most colorful characters from my childhood was “Mr. Barney,” who was a deputy sheriff of Union County for many years during the era of the 1940’s and 1950’s. It was a sign of great disrespect for a young person of my generation to call an adult by their first name, so Deputy Barney Southall was known by me and almost everyone in the county as “Mr. Barney.” He appeared to me as a giant, not simply because he was over 6 feet tall and weighing in excess of 250 pounds, but because of the respect every one seemed to have for him. When I first learned of his exploits, he had been in law enforcement for at least 20 years and had earned that respect from young and old alike. My Dad (Pop), was a general practitioner in medicine, and it seemed to me that he knew every one in El Dorado and Union County. Because he made house calls almost every night, and some of the calls were into unsafe neighborhoods, Pop would occasionally have a deputy sheriff follow him in his patrol car and keep watch during the time of the visit. More often than not, Mr. Barney was the deputy on call, so he was one of Pop’s best friends and guardians. 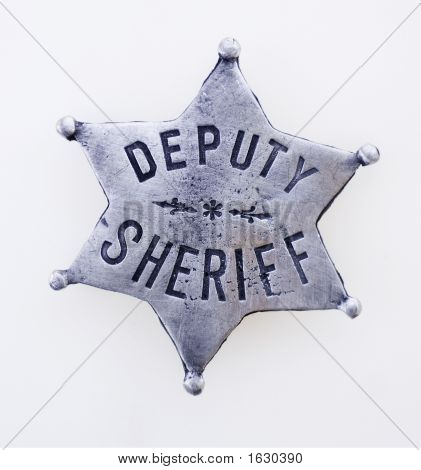 I don’t ever remember Mr. Barney wearing his deputy’s hat, but he was always so polite that he may have removed it when I was in his presence which was indoors. As I recall, his service revolver was a pearl-handled .38 caliber, and according to his nephew Barry who inherited the pistol at Barney’s death; it “was rusted from disuse.” The one weapon he carried that was well-used was a black flap-jack. He kept that instrument in his right rear pocket and was known to use it liberally on any Saturday night when there was a dispute or disagreement in one of the more volatile areas of town. It was said that Mr. Barney could remove that flap-jack from his pocket and deliver a paralyzing blow so fast, that the shiftiest character did not have reflexes fast enough to avoid the blow. Mr. Barney was a master in settling disputes and more often than not, because of his size and reputation, he could get it done in a non-violent fashion. Pop told me this story that involved a married couple who lived in another high crime area of town called Fairview. It seems they had a physical altercation with each other almost weekly on the weekends when they were drinking either beer or whiskey to excess. Invariably Mr. Barney was called to their home to separate them, and to see one or the other was taken to the Emergency Room for sutures to repair the damages from the fight. On one occasion, Mr. Barney said, “Now listen, I’m sick and tired of breaking up your fights. You two can’t seem to get along, so do you want to get a divorce?” “Yes suh, Mr. Barney, we wants to get di-voced.” Barney then told them to place their right hands on his badge and answer this question, “Do you James and you Sally desire to divorce each other?” “We do,” was their reply. “By the authority given me by the state of Arkansas and the county of Union, I now declare you divorced.” According to Mr. Barney, James and Sally continued living together, but he was never called to their residence again for a domestic altercation. I was not told whether they gave up drinking alcohol, but suspect they did not. Deputy Barney Southall had a long and faithful service record to the people of Union County, and I feel certain he was never paid a salary that was reflective of his value for that service. His greater value and true legacy has been recorded in the memory of his family and friends that knew and loved him, and countless people like James and Sally with whom he made a lasting difference by his firm but sometimes unusual methods of law enforcement. I just wish there were a few more Mr. Barney’s around. Not going to happen in this “PC” world. His wife, Ida, was one of the kind, calm Southern Ladies there eve rwas.